In 10 years, rich to become immortal by transplanting brains into robots? A Russian entrepreneur, who heads a hi-tech research project called 'Avatar' , has contacted the world's richest to offer them immortality. Itskov claims that he will personally oversee their immortality process in exchange for an undisclosed fee. Itskov, a media entrepreneur, claims to have hired 30 scientists to reach this goal and aims to transplant a human brain into a robot body within 10 years. "You have the ability to finance the extension of your own life up to immortality. Our civilization has come very close to the creation of such technologies : it's not a science fiction fantasy. It is in your power to make sure that this goal will be achieved in your lifetime," the Daily Mail quoted Itskov as saying. He has contacted a list of billionaires with a proposal for funding his quest for immortality - which Itskov refers to as 'cybernetic immortality' and the 'artificial body' . The initiative is opening its San Francisco office this summer, and will be launching a social media project connecting scientists around the world. 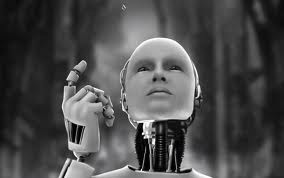 "The 2045 team is working towards creating an international research center where scientists will be engaged in the fields of anthropomorphic robotics , living systems modelling and brain and consciousness modeling with the goal of transferring one's individual consciousness to an artificial carrier and achieving cybernetic immortality," Itskov's official site said. "Such research has the potential to free you from disease , old age and even death."